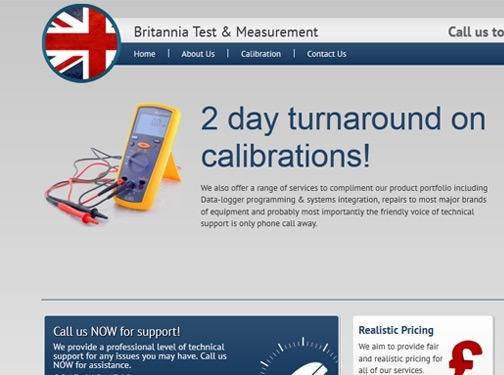 Britannia Test & Measurement provide tester calibration equipment in Teesside and the surrounding areas. UK (Grangetown, Middlesborough) based company - with over 46 years' experience - providing hand-held test and measurement equipment, data acquisition equipment and tester calibration equipment for sale. Website includes details of products provided, full company contact details including company registration number. Company website has been online since 2006 according to web.archive.org.